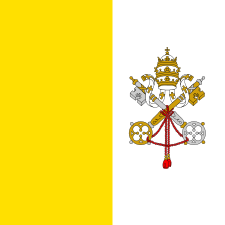 On Saturday 27 June 2015 Pope Francis, in a motu proprio ("on his own initiative") apostolic letter, established the Secretariat for Communications in the Roman Curia, and Vatican Radio will eventually be incorporated into it. While some critics have said Pope Pius XII was too quiet regarding the Holocaust, Adler has examined the transcripts of wartime broadcasts over the Vatican Radio. Adler argues that it exposed Nazi persecution of the Church and opposed collaboration with Nazism. 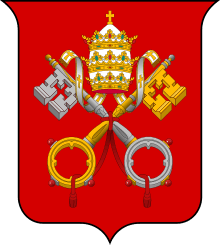 It appealed to Catholics to remain true to their faith's injunctions: to defend the sanctity of life and the unity of humankind. In so doing the Pope pursued a policy of spiritual resistance to Nazi ideology and racism. The most interesting aerial is the one for the medium wave frequency 1530 kHz, which consists of four 94 metre high grounded free standing towers arranged in a square, which carry wires for a medium wave aerial on horizontal crossbars. The direction of this aerial can be changed. The Santa Maria di Galeria transmitter site is the subject of a dispute between the station and some local residents who claim the non-ionising radiation from the site has affected their health and a study by cancer specialist Dr. Andrea Micheli has suggested that electromagnetic radiation from the antennas has caused excess risk of leukaemia and lymphomas in children. These claims are not accepted by the station and are not peer reviewed. ↑ Frank J. Coppa, "Pope Pius XII: From the Diplomacy of Impartiality to the Silence of the Holocaust," Journal of Church and State (2013) 55#2 pp 286-306. ↑ Jacques Adler, "The 'Sin of Omission'? Radio Vatican and the anti-Nazi Struggle, 1940–1942," Australian Journal of Politics & History (2004) 50#3 pp 396-406. ↑ General view of the Santa Maria di Galeria transmitter site.